Sky Bet League One side Luton Town are interested in signing Preston North End striker Louis Moult, according to reports from reliable journalist Alan Nixon. The 26-year old signed for the Championship club last January on a three-and-a-half year deal from Scottish Premier League side Motherwell, where the forward scored 49 goals in just under 100 games for the club. The forward has since made just 11 league starts for Alex Neil’s men, scoring seven goals in 32 appearances for the Lancashire side in all competitions. Reports have now surfaced, though, that League One promotion chasers Luton Town are taking an interest in the striker who has scored five goals in 21 games this term. The 26-year old has recently endured a tough time with injuries, with a couple of hamstring problems halting his progress in the first-team – the striker has missed North End’s last seven games in all competitions. The Hatters could look to bring in another striker before the window slams shut in the next couple of days, with forward Danny Hylton attracting interest from former club Oxford United. The Bedfordshire club currently sit at the top of the Sky Bet League One table, ahead of a massive game against automatic promotion rivals Portsmouth at Kenilworth Road on Tuesday night. Moult could be a fantastic signing for Luton. 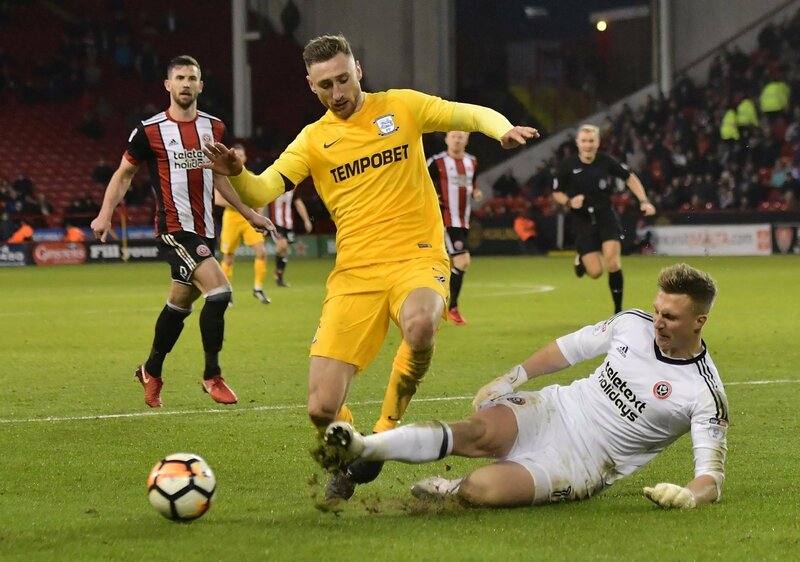 He has endured a tough time with injuries during his time at Deepdale, however has still managed to score five goals in the Championship this season. He’s a quality striker, and if Hylton leaves, it would be a shrewd signing for Luton.